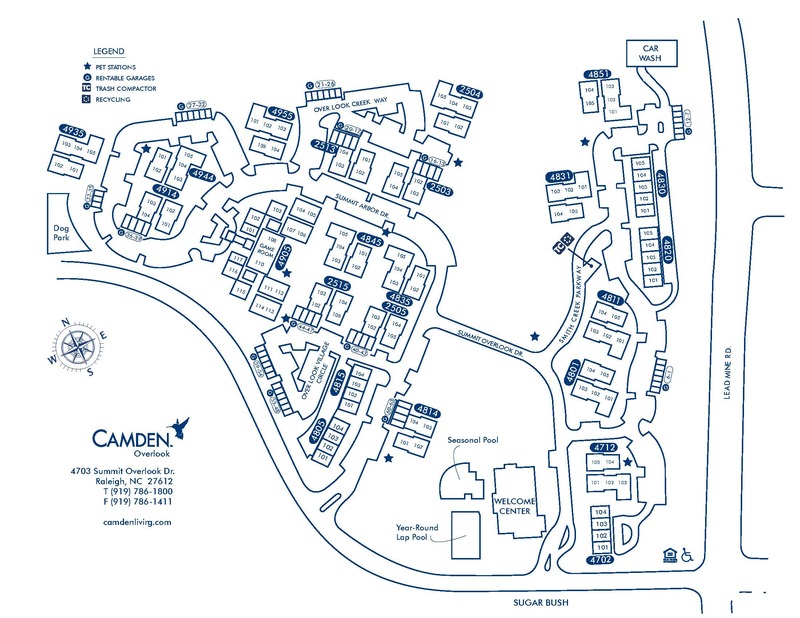 From the craftsman style architecture to the gourmet kitchens and upgraded features, everything about Camden Overlook's one, two and three bedroom apartment homes are designed to make it the home you've always wanted. Our expansive 3,000 square foot, 24 hour fitness studio rivals the best health clubs offering cardio classes, an indoor basketball court, and year-round outdoor heated lap pool. Or hop on the nearby Capital Area Greenway Trail with over 125 miles of hiking, biking and walking trails. Unwind with friends in the resident pub or entertain poolside while grilling out with friends. Everything you need is just outside your doorstep and our perfect location positions you just minutes from Crabtree Valley Mall, I-440 Beltline, I-40, Research Triangle Park and downtown Raleigh. At Camden, your pets are family too! We welcome cats and dogs, up to three pets per apartment home with no weight restrictions. Call us with any pet-related questions! We'll save a spot for you! We offer one parking space per resident on a first-come, first-served basis. Our townhomes include attached garages. Detached garages are available for $115 per month.